So you braved a six month journey to Mars, hurtling through space aboard a cramped spaceship. 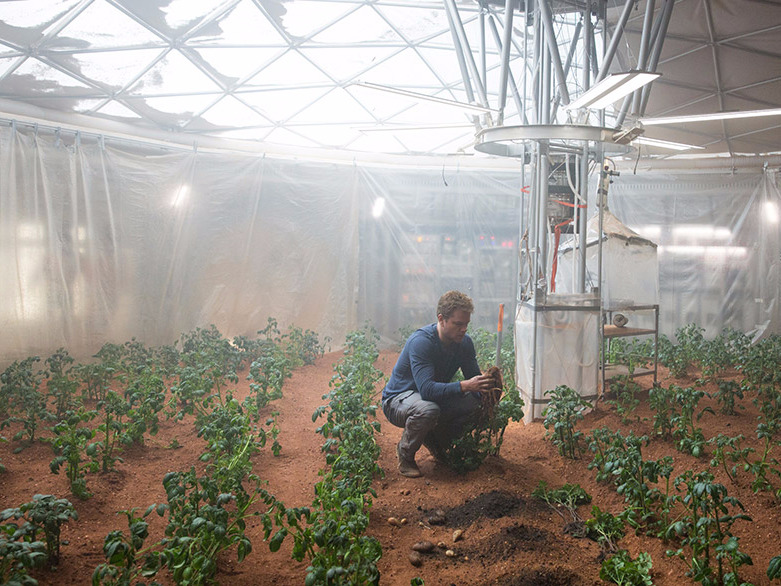 As you set up camp on the Red Planet, boldly stepping where no earthling has stepped before, you find yourself asking that age old question: What’s for dinner? Lots of veggies, it turns out. At least, that’s the plan. On Thursday, researchers from Wageningen University in the Netherlands announced that vegetables and cereals they spent two years growing in ‘Martian’ soil were found to be safe for human munching. Although the soil was not actually scooped off the surface of Mars, scientists made sure to use terrestrial soil that mimics what we would find on the Red Planet. “Abundant harvests of radishes, peas, rye and tomatoes” grown in this soil were found to contain “no dangerous levels” of heavy metals, Phys.org reports. Taste tests, starting with the radishes, will begin on June 29, Gizmodo reports. The researchers are also growing other crops, such as potatoes, green beans, and carrots. And a crowd-funding campaign is backing research to figure out if these crops are also safe to eat. SpaceX CEO Elon Musk has announced plans to send humans to Mars by 2025, and NASA has said that we could see manned missions to Mars within the next 10 to 15 years. And with any hope, this new research will make these trips as nutritious (and delicious) as possible.